A history of innovation creates the conditions for a prosperous future in Northwest Georgia. Those words from James K. (Jay) Henry, director of operations support at $4-billion global flooring product manufacturer Shaw Industries, capture exactly what make this corner of the Peach State so alluring: a place where both companies and families take root and blossom. Shaw’s roots go back to the mid-1890s, when the tufted textiles industry first started growing in the area. Today the Dalton, Ga.–based company, owned by Berkshire Hathaway, employs 25,000 around the world, and continues to deploy and redeploy its assets to best serve an evolving global marketplace. In January 2014, the company announced it would exit the area rug business and convert its rug facility in Ringgold, Ga., in Catoosa County, into a new luxury vinyl tile (LVT) manufacturing facility. Not only will most of that plant’s 400 associates find opportunities at other locations, but the more than $100-million investment will create 200 new jobs in the Ringgold area, while helping Shaw reinforce its market-leading position in the LVT category. Jay Henry says the company always looks to convert existing facilities first, but this extensive location search considered facilities outside the company’s existing fleet. “We were not constrained to doing it in Northwest Georgia, but for us it makes a lot of sense,” Henry says, and not just for moving product out along the area’s multiple nearby Interstates of I-75, I-59 and I-24. “We want to have a facility to bring customers to, and being near Dalton, it’s good to have it nearby,” he says. Atlanta Hartsfield-Jackson International Airport is 90 minutes south, and Chattanooga Airport is next door to the north. Henry says the facility in Ringgold also possesses certain attributes Shaw needs to run the new product, such as power infrastructure and significant space under a higher roofline. Henry says his company and his home region continue to benefit from the cluster effect. “A lot of these suppliers who feed our industry understand our needs really well,” he says. “We make each other better … so our whole industry really gains from that,” he says. One of Northwest Georgia’s natural wonders is the jump-off point for hang gliders at Lookout Mountain Flight Park. The Shaw connection resonates even where the company itself no longer operates. VW and GM supplier Clark-Cutler-McDermott Co. has purchased a former Shaw Industries facility in Walker County to produce acoustical insulation. The plant will employ up to 50. Repurposing is also in the air in LaFayette, where Euclid Chemical Co.’s PSI Fibers business purchased the former Imperial Cup facility, five times the size of PSI’s current facility, in order to accommodate its expanding synthetic fiber business. Last but not least, Engineered Floors, led by the man who sold Shaw to Warren Buffett, Robert E. Shaw, is investing $450 million and hiring 2,000 people at new facilities in neighboring Whitfield and Murray counties. Henry was recently sworn in as the newest member of Georgia Northwestern Technical College’s board of directors, joining members from such companies as Georgia Power, Belgian flooring firm IVC, The HON Co., and Nissin Brake, which early in 2014 announced its own $33-million, 30-job expansion in Rock Spring, Ga.
“What I’ve seen is the ability to have specific development of associates who can come into our business and really contribute on day one,” he says of Shaw’s relationship with the school. The school is constructing a new $10-million automated manufacturing training facility at its campus in Ringgold, with a focus on mechatronics and robotics. It’s being built primarily to serve the anticipated needs of Tier 1 and Tier 2 automotive suppliers serving nearby OEM plants in Tennessee (VW, Nissan and GM), Alabama (Nissan, Hyundai, Mercedes), and Georgia (Kia). But advanced manufacturing methods are being adopted across many sectors. Georgia Northwestern Technical College (GNTC) serves nine counties in Georgia with campuses located in Floyd, Gordon, Polk, Walker, and Whitfield counties. Approximately 16,000 people benefit from its programs, making it the largest college in Northwest Georgia and the fifth largest technical college in the state. According to a recent study from the University of Georgia, among the 24 TCSG colleges across the state, GNTC had the second-highest economic impact (nearly $69 million), and were responsible for the third highest employment impact in terms of direct employment caused by college spending (886 public and private sector jobs). It’s not just educational infrastructure preparing the way for industry. Publicly owned industrial parks are doing the same. Keith Barclift, project manager for the Northwest Georgia Joint Development Authority serving Catoosa, Chattooga, Dade and Walker counties, says Walker County has purchased 460 acres and Dade County has purchased 270 acres for this purpose, cutting in roads and getting sites pad-ready for industry. Chattooga County’s 133-acre Trion Industrial Park is also geared up for the logistics and manufacturing sector, with everything from the five-lane US Highway 27 (known regionally as Auto Alley) to fiberoptic connectivity. Georgia placed No. 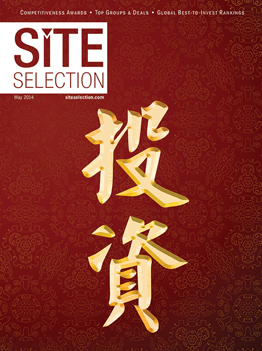 1 in Site Selection’s 2013 Business Climate rankings. Georgia State Senator Jeff Mullis, executive director of the Northwest Georgia JDA, thinks the high level of collaboration and assistance offered by local governments and firms is at least partly responsible for that performance. “The little guys hustling for business want to work with you,” he says, in a way that suggests his home region is one of those little guys. But it boasts some major muscle when it comes to infrastructure and longstanding business connections. It just comes with the territory.